Wander through a slice of pre-settlement landscape at Pershing State Park. 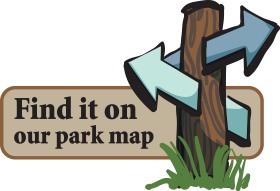 The park includes a boardwalk and hiking trail that winds through a wet prairie near a meandering stream with oxbow sloughs and cutoffs, and into a bottomland forest. The park’s wetlands attract a variety of birds and waterfowl as well as scores of other wildlife species. Locust Creek and four small lakes give anglers a chance to try their skills and a shady campground with electric and basic campsites makes the park an ideal overnight location. Staff are usually available in the park Monday through Friday. The office telephone is monitored for messages during daytime hours. Staff are usually available in the park Monday through Friday. The office telephone is monitored for messages between 9 a.m. 3 p.m., Monday through Friday, year-round.